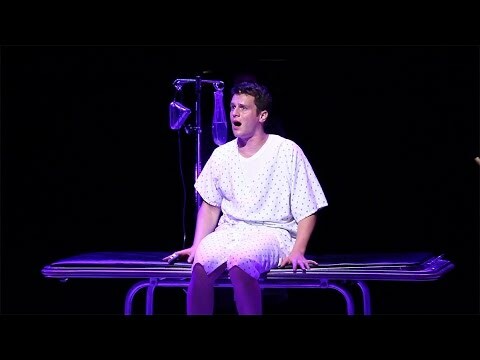 By the Tony Award-winning authors of Falsettos, here is an energetic, sardonic, often comical musical about a composer during a medical emergency. Gordon collapses into his lunch and awakes in the hospital, surrounded by his maritime-enthusiast lover, his mother, a co-worker, the doctor, and the nurses. Reluctantly, he had been composing a song for a children’s television show that features a frog – Mr. Bungee – and the specter of this large green character and the unfinished work haunts him throughout his medical ordeal. What was thought to be a tumor turns out to be something more operable, and Gordon recovers, grateful for a chance to compose the songs he yearns to produce. "Apt and original...A fascinating story." - The New York Post.